The kids get so excited when they find a pumpkin carved with their favorite cartoon characters. Nearly every character you can imagine is there to be found. There are also scary pumpkins, funny ones, cute, silly, odd, artistic and pretty ones. Some even have beautiful, realistic works of art carved into them! It is obvious that some have been carved by children while others were carved by serious artists. 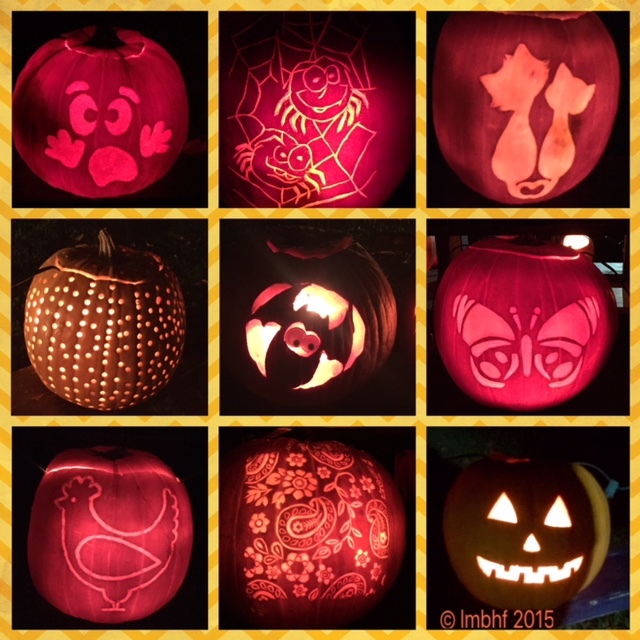 Members of the community do the carving and then donate their work for families to enjoy at the annual Pumpkin Walk. Pumpkin carving is another one of our family traditions. We like to grow our own in the garden and then harvest and carve them with all kinds of fun faces! 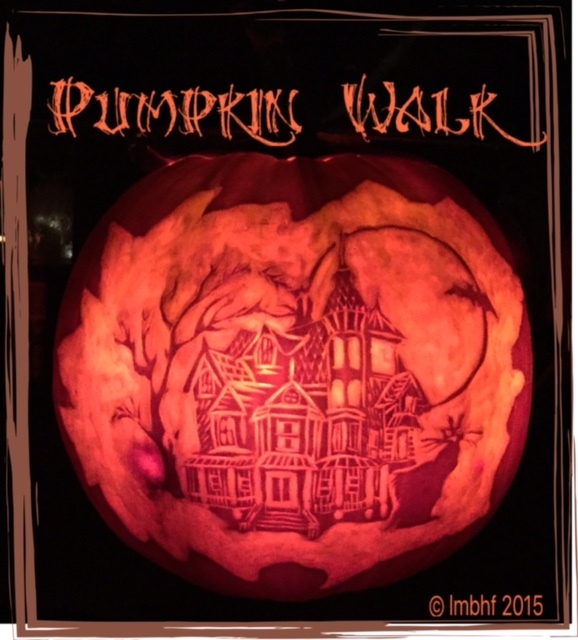 So, just in time for Halloween pumpkin carving, I thought I would share the photos I took at this year’s Pumpkin Walk. 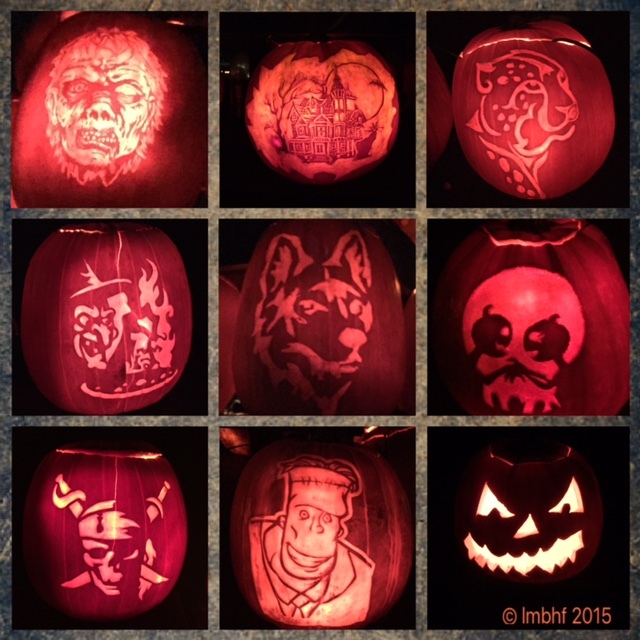 I hope you find some inspiration to carve a pumpkin or two of your own! Here are the Scary Ones! Here are the fun & pretty ones! 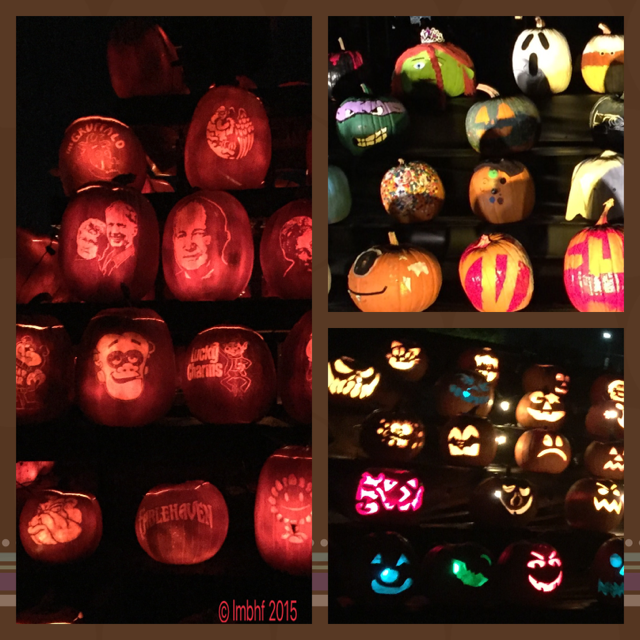 Pumpkin Tower & Group Displays (painted & carved)! 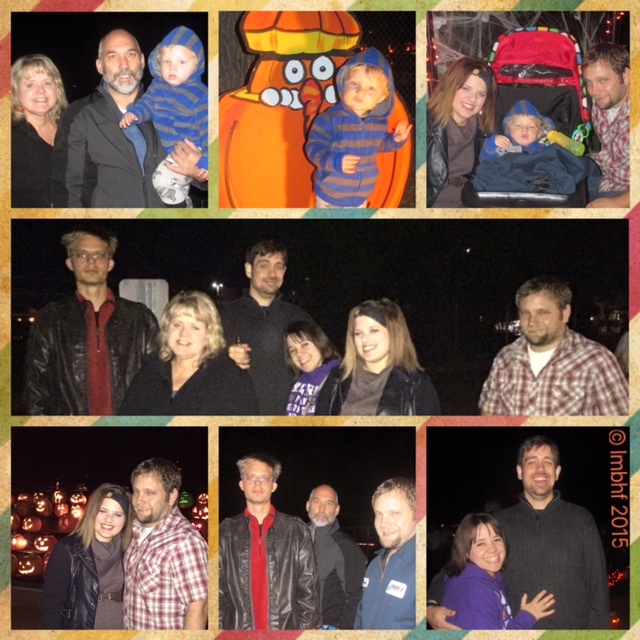 Here’s the family enjoying the Pumpkin Walk! 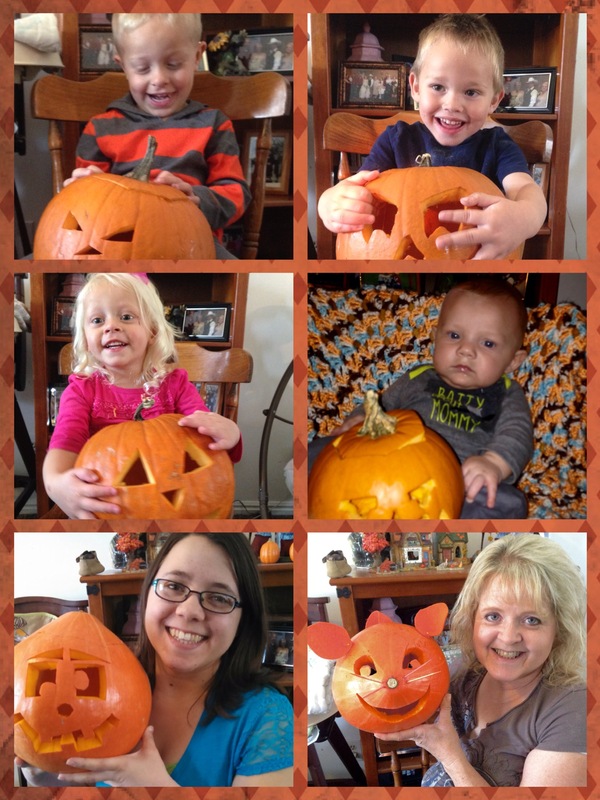 This is pictures of carving jack-o-lanterns with my daughters and grandkids in 2014. Those are so cool! I love to look at the talent each one displays! I have two boys who would go nuts over the TMNT one! Thanks for sharing! There are so many and such a variety, everyone can find something that interests them. That’s so adorable! And looks like a blast! We always have lots of fun! Bianca, it is tons of fun! What a fun event! Some of those pumpkins are amazing. Thanks for sharing on the #HomeMattersParty . I hope you will join us again next week.